Charlotte’s recent string of fourth-quarter magic finally went dry on Tuesday against the Clippers as Los Angeles rallied to take a 117-115 victory at Spectrum Center. 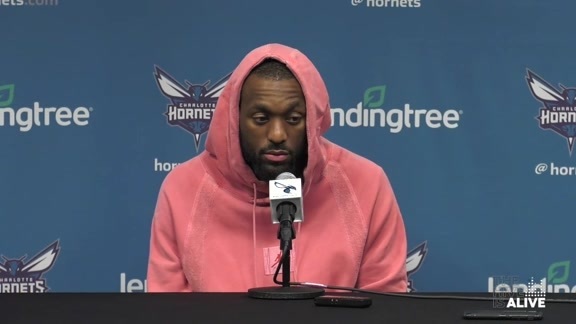 Kemba Walker filled the stat sheet in the loss for Charlotte, finishing with a team-high 32 points while also dishing out nine assists, grabbing five rebounds, swiping three steals and not turning the ball over once. It was Walker’s 15th game this season of 30+ points, tying his career high set in 2015-16, and marked the fourth time this season he has scored 30+ in back-to-back games after a 37-point performance on Saturday against Chicago. It was also the seventh time in his career Walker has had back-to-back games without a turnover. 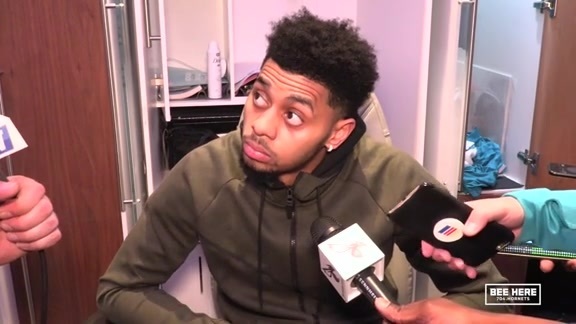 Jeremy Lamb added 22 points on 9-of-17 shooting (52.9 percent) from the field as the Hornets five-game, home winning streak came to an end. Marvin Williams tacked on 13 points, seven rebounds and a career-high tying four blocks in the losing effort. Charlotte held a 92-84 lead heading to the fourth quarter but was in the midst of trying to hold back a Clippers team that was fighting back from an 88-68 hole with 3:17 remaining and would end up finishing the night shooting 75.0 percent (18-of-24) from outside the arc. After putting together 17-1, 17-3 and 20-4 fourth-quarter runs in their last three games at home, this time the Hornets would see Clippers star Tobias Harris (11 points) and Sixth Man of the Year frontrunner Lou Williams (10) combine for 21 points in the decisive final frame as Los Angeles outscored the Hornets 33-23 to take the victory. In the fourth quarter alone, the Clippers would outshoot Charlotte 55.0 percent (11-of-20) to 30.4 percent (7-of-23) from the field and 71.4 percent (5-of-7) to 26.7 percent (4-of-15) from long range, including two treys apiece from Williams and Harris. A Hornets defense that has been locked in at home as of late also failed to force a single turnover in the last stanza while coughing it up twice for six key Clipper points. Despite it all, Charlotte still had the chance to win or tie with 4.3 seconds remaining and trailing 117-115. Nic Batum was looking for Walker on the inbounds pass but Walker could not get freed up. 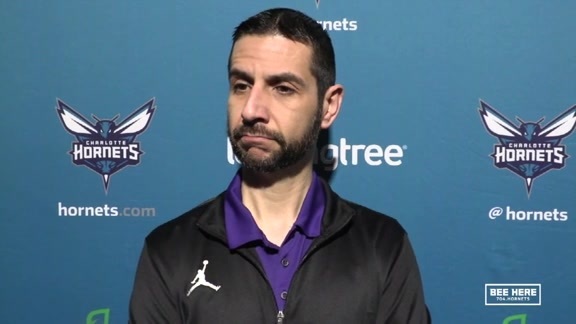 With time running out to inbound the pass, Batum found Williams, whose desperation three from the right side appeared to be deflected by Montreal Harrell and missed the mark as time expired. The Hornets now head out on a four-game road trip starting at 8:30 p.m. on Wednesday in Dallas.